It was another big night for Dalhousie at the Discovery Awards. At the 13th edition of the annual event last Thursday, Dalhousie researchers from the Faculties of Science and Medicine walked away wins in three of the four major categories: Innovation, Professional of Distinction and Emerging Professional. The university also celebrated another entrant into the province’s Science Hall of Fame: Chemistry Professor Emeritus Axel Becke. The Discovery Awards, hosted by Halifax’s Discovery Centre, celebrate the brightest minds in Nova Scotia and honour their contributions to science, technology and innovation. 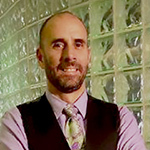 The four lead categories are presented “Oscar style” the night of the ceremony, with three nominees up for each award; in total, Dal-associated researchers and individuals accounted for seven of the 12 finalists, including all three who were up for the Emerging Professional prize. Dr. Axel Becke, professor emeritus with the Department of Chemistry, was inducted into the Discovery Centre's Science Hall of Fame. Dr. Becke's life work advancing a computational method called the “density-functional theory” (DFT) of electronic structure has landed him international recognition and Canada's top science honour earlier this year: the $1-million Gerhard Herzberg Canada Gold Medal for Science and Engineering. Dr. Becke’s DFT research has been cited over 100,000 times, and the theory is being used in the development of countless everyday products — from toothbrushes to iPhones. Upon receiving his Science Hall of Fame honour, Dr. Becke took his time with the audience to share the importance of theoretical science in today’s fast-paced, application motivated scientific community. Dr. Becke was inducted into the Hall of Fame alongside George C. Baker, a pioneer and early champion of tidal power who was instrumental in creating the first tidal power plant in North America as well as understanding the environmental implications of tidal power generation in the Bay of Fundy. The winner of this year’s Innovation category was DeCell Technologies, conceived by Dr. Paul Gratzer, an associate professor in the School of Biomedical Engineering and CEO and president of the company. The biotech company manufactures advanced, ready-to-use tissue products to treat chronic foot ulcers, which afflict roughly 25 per cent of all diabetic patients. Here’s how the technology works: A processing system strips cellular components and bacteria from donated tissue, leaving behind the essential properties of real human skin. Physicians can use this sterile layer of skin to cover ulcer wounds; think of it as scaffolding on the side of a building. Once it’s on, it has no chance of being rejected by the patient, promotes skin cell regeneration and keeps wounds clean. The technology is also helping to treat patients with other chronic wounds, burn victims and can be used in surgical reconstructions. With significant safety and cost advantages to the technology, the DermGENTM product is currently in clinical trials with anticipated commercial sales within the next six months. 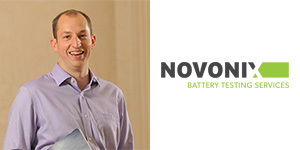 Also nominated in the Innovation category was Novonix, a company that designs, builds and sells ultra-high precision Lithium-ion battery testing equipment. The company is a spinoff from the lab of Dalhousie Physics Professor Jeff Dahn and counts Dr. Chris Burns (PhD’15) as its co-founder, president and CEO. Learn more about Novonix in this Dal News story. As a professor in the Department of Anesthesia, Pain Management & Perioperative Medicine and staff anesthesiologist at the QEII Health Sciences Centre, Dr. Orlando Hung plays a key role in health care across the Maritimes. He’s passionate about anesthesia and acute pain management, but also keen on how to improve those services and patient outcomes. For the past 26 years, Dr. Hung has been conducting research in airway management, clinical pharmacology and drug delivery systems. 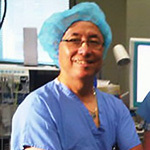 His collaborations span across North America, and have resulted in a number of patents that keep patients safe while under anesthetic. Among his inventions is a light-guided intubation device (or “lightwand”), designed in partnership with Dalhousie’s Innovation in Design Lab. Dr. Hung has also helped to invent the Fluid Intravenous Alert (FIVATM) device, which monitors the flow of intravenous anesthesia medication. It’s designed to sound an alarm when a bag of intravenous (IV) fluid is about to run dry, alerting the clinician to change the IV bag to avoid interruption in fluid flow. 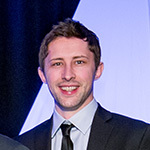 Dr. Nick Nickerson, Dalhousie Earth Sciences alumnus (PhD '14), was awarded the Emerging Professional rpize. 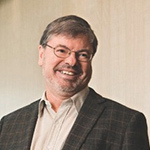 Dr. Nickerson is the chief scientist for Dartmouth-based green technology company Eosense. Equipment designed and built at the company under Dr. Nickerson's leadership is being used worldwide to monitor greenhouse gases and ground source leak detection on oil and gas sites. Dr. Nickerson's PhD was awarded Best Thesis of 2014 for the Faculty of Science, in large part due to the research he conducted both at Dal and in the St. Francis Xavier University's Flux Lab. “I really appreciate what the Discovery Centre is doing, trying to retain local talent in Nova Scotia and awarding people for staying in Nova Scotia,” said Dr. Nickerson as he accepted his award. The other two finalists in the Emerging Professional category were also Dalhousie individuals. 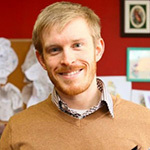 Alec Falkenham, a PhD student in the Department of Pathology, hit headlines this year after he came up with a new tattoo removal technology. Falkenham is also an up-and-coming name in cardiovascular research: as a graduate student, he’s presented nationally on how the immune system heals the heart and has been awarded multiple provincial and national scholarships. Read about Falkenham’s research in this Dal News article. 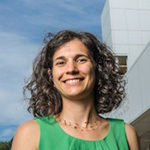 The third finalist was Dr. Natalie Rosen, assistant professor in the Department of Psychology and Neuroscience and a registered clinical psychologist. Dr. Rosen’s research in women’s sexual health, with an emphasis on genital/pelvic pain, led to the first couples-based treatment for genital pain, currently being testing in a CIHR-funded randomized clinical trial. She has received several notable awards including the CIHR New Investigator Award, the CIHR Bisby Prize for the top-ranked research proposal and the Canadian Psychological Association President’s New Researcher Award. Read about Dr. Rosen’s research in this Dal News article. 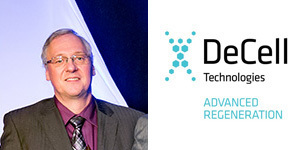 The final Dal nominee of the evening was Dr. Todd Hatchette, site chief in the Division of Medical Microbiology at the Nova Scotia Health Authority and professor of pathology at Dalhousie. While Dr. Hatchette did not win the Science Champion award (it was presented to Saint Mary’s Computational Astrophysicist Robert Thacker), he remains a tireless advocate of translating scientific expertise to the public, with research interests in vaccinology, virology, influenza pathogenesis and sexually transmitted infections — just to name a few.